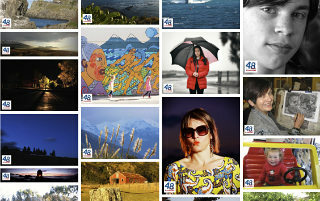 Started in 2002, the aim of the “48 hours in Kaikoura” exhibition was to have those who know and love Kaikoura best to capture its complexity, diversity and beauty on film. Open to all budding photographers the annual photo shoot usually takes place the first weekend of August and the resulting images are then exhibited for a week (end of August). Entry is open to everyone but images must be taken in the Kaikoura District on the designated weekend. 2017 the photo shoot weekend is August 5 and 6 with the exhibition being held at The Museum from August 26 to Sept 3.